On an Activity diagram, an Expansion Region encloses a group of ActivityNodes and ActivityEdges that are to be executed several times on the incoming data, once for every element in the input collection. If there are multiple inputs, the collection sizes should match; if they do not, the smallest collection determines the number of executions. The collections must also be of the same type (such as set, or bag). Any outputs must be in the form of a collection of at least the same size as the input collection; the output collection can be larger if each execution can produce more than one output. To modify the mode of an Expansion Region, right-click on it and select the 'Properties' option, then select the 'Advanced' tab. 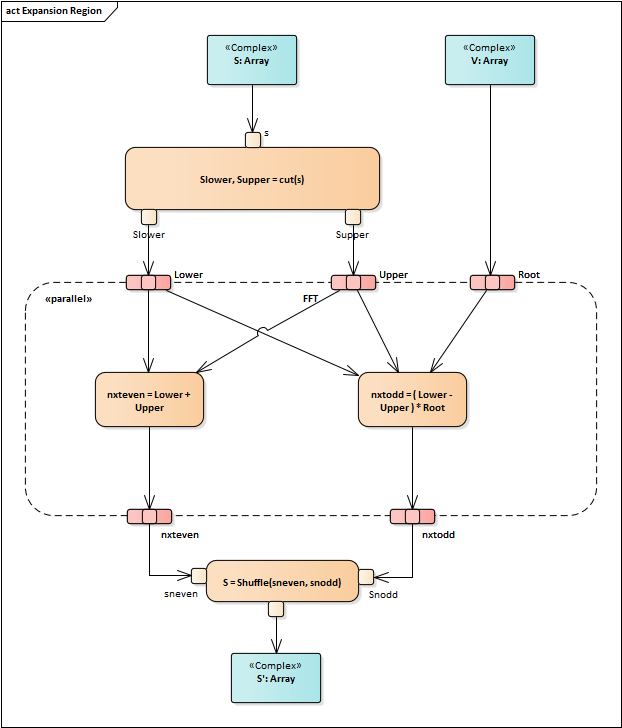 See UML Superstructure Specification, v2.1.1, figure 12.87, p.372.